Offering you a complete choice of products which include metal or rubber bellow seal. We are one of the leading manufacturer & supplier of Metal or Rubber Bellow Seal in the India. 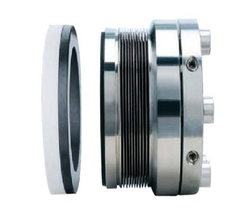 We offer highly engineered seals.The Globe Star Engineers, being one of the topmost mechanical seal manufacturer, we offer the widest range of the finest quality of mechanical pump seals for the various industrial applications. Looking for Metal & Rubber Bellow Seal ?